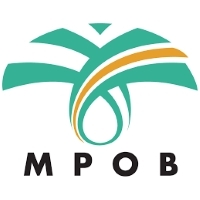 CDR FoodLab® was presented to the “MPOB Technical Seminar (MTecS) on Oils & Fats – The Heart of Food Industry” the 25th October 2018 in Karachi, Pakistan. The seminar by Malaysian Palm Oil Board was all about awareness and the overall technicalities of oil & fats in the industry. At the conference ISA 2016 organized by the University of Bari, University of Basilicata and Società Chimica Italiana (Italian Chemical Society) prof. Massimo Innocenti, Department of Chemistry, University of Florence held the presentation “Spectroscopic Analysis of eco-foods”, in collaboration with researchers from the chemical CDR laboratories. 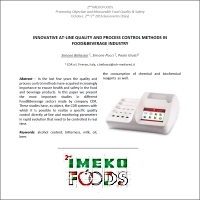 Application Example evaluated in the presentation is the range of the CDR FoodLab® analysis systems that specialize and optimize the use of photometric technology in terms of cost, the amount of reagent used and analysis time. Thanks to the new distribution agreements with the Danish company Food Diagnostics, CDR FoodLab® analysis systems will strengthen its presence in the North European market: from Denmark to Sweden, from Iceland to Faroe Islands and Greenland. The CDR network of distributors increases. Labolytic AS is the new Norwegian distributor of the CDR analysis systems. CDR recently concluded the distribution agreement with the Norwegian company. Food Management Today talks about our food and beverage analysis systems. The QCL technical specialist has been interviewed for an overview on the meat and food industry with particular attention to quality control and in-line food analysis. 31st October 2013 – The FoodLab range of food and beverage analysis systems will be present at the Lab Innovations 2013, in Birmingham, in the UK. 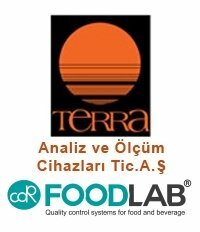 During the two-day event, 6th and 7th November, you can discover the different CDR Foodlab instruments to analyse many food matrixes and drinks. Lab Inn will take place at the Pavilion, at the NEC.